Because the Night offers you short and longtherm hospitality. 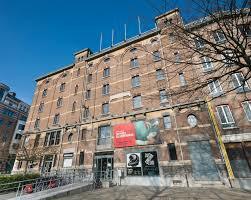 Located in the heart of Antwerp (op ‘t Zuid), our home is the ideal starting point to visit the city. Our 19th century house is located between the Fine Arts Museum, the Museum of Photography and the 13th century Waterpoort. A few years ago we decide to refurnish a big part of the house exclusively as a bed & breakfast, complimented by a Iyengar Yoga Studio. Everybody is welcome; tourists, family’s with (or without) kids, lovers, artists and business guests.